Media has always had a fascination with fomenting conflict. It's dramatic and brings in readers. As the notorious William Randolph Hearst famously quipped, news organizations love to “"furnish the war.” This has been especially true in the case of North Korea, where international attention has frequently shifted over the past several years due to American engagement with the Democratic People's Republic of Korea (DPRK) in an attempt to resolve tensions on the Peninsula peacefully. The most significant attempt to spark a conflict with North Korea has undoubtedly been the media's rampant but short-lived promotion of Cheollima Civil Defense, also known as Free Joseon. Cheollima was launched into the public eye amid attempts before and after the February 2019 Hanoi Summit to potentially unseat Kim Jong Un from power. Although news outlets connected to British intelligence claimed that Cheollima Civil Defense was tied to the CIA, previous coverage from outlets like France24 said that they were supported by South Korea's National Intelligence Service. In 2012 the National Intelligence Service attempted to rig presidential elections against current South Korean President Moon Jae-in. Moon's 2012 opponent, Park Geun-hye, is now in prison after being arrested for a number of crimes including extortion, bribery and abuse of power. Emerging into notoriety at the same time as news that North Korea's military was opposing Kim over his desire to denuclearize, the group sought a violent overthrow of Kim Jong Un but did not appear to support peace or reunification. Additionally, a report by Disobedient Media highlighted their deep ties to the United Nations and to the United Kingdom which lead to accusations from defectors that Cheollima was merely a regime change operation. In the aftermath of reports from Disobedient Media and other outlets, Cheollima Civil Defense said that it would suspend its activities before shutting down a number of websites affiliated with the group, including the page for the Joseon Institute. The explosion of media puff pieces giving exposure to Cheollima Civil Defense in 2019 vanished as suddenly as they had appeared. On March 29, South Korea accepted delivery of the first two F-35 jets being shipped as part of a 40-jet order. North Korea was quick to criticize the South for what they said was an act that continued confrontational policies initiated under former President Park Geun-hye. The apparent fear displayed by the DPRK over the arrival of just two jet planes can be interpreted as a fantastically poorly-thought out display of vulnerability. Nevertheless, that did not stop The National Interest from wildly speculating about whether or not the North Koreans might be able to shoot down an F-35. The publication followed up this amusing conjecture three days later with an article opining that the North Korean military, which has not seen significant upgrades since the start of the century and is heavily stocked with aging Soviet and Chinese equipment, would somehow be able to effectively resist in a war with American forces because they enjoyed limited success early on during the Korean War. The truth is that even North Korea's more modern aircraft and other vehicles are not in a good state of repair due to crippling sanctions and siphoning of resources to focus on their nuclear program. When a North Korean fighter pilot defected to the South in 1996 with his fighter jet, the Los Angeles Times reported that his plane was unheated, he did not even have a pair of socks and was wearing a helmet that was made before he was born. The MiG fighter he flew was produced in the 1950's. With fighter pilots being a preferred class of North Korea's military the episode highlighted just how desperate the situation is north of the DMZ. To even speculate that the North would be able to repel an invasion by an Army supplied with cutting-edge military technology is ridiculous and their repeated protests at the deployment of two F-35s shows that the DPRK itself knows it is not able to compete. In early April 2019, a series of media outlets ran articles claiming that North Korea is developing a 3,000-ton submarine capable of launching ballistic missiles. Taiwan News also claimed that the DPRK had pitched their new submarine design's marine propulsion technology to Taiwan's military. 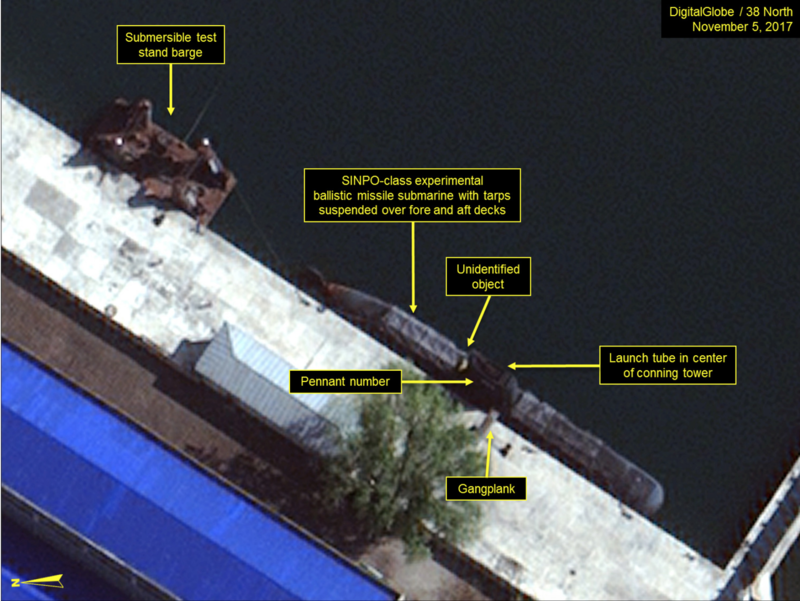 38 North, a project supported by elements of the defense industry, Carnegie Endowment and Council on Foreign Relations, said that satellite imagery from Airbus DS showed what appeared to be slow-paced construction on a single submarine at North Korea’s Sinpo South Shipyard. It's difficult to take 38 North's analysis of satellite footage seriously however. In 2017 they claimed that a North Korean submarine's missile launch tube was located in the center of a conning tower. This is logistically impossible and implausible. The warnings about North Korean strikes against the mainland have been ongoing for years. In 2017 the Los Angeles Times floated Los Angeles, San Diego, Hawaii and Washington DC as potential targets in a North Korean nuclear attack. A report later that year from Foreign Policy mentioned San Francisco and Southern California as potential targets. Austin, Texas has also apparently been considered for targeting according to leaked images from North Korean war rooms. Generals such as Terrence O'Shaughnessy have been warning about the threat of North Korean missile attacks, including attacks from submarines, for many years. Publications such as The National Interest have also been blowing the whistle about North Korean submarines for quite some time. With $716 billion earmarked for defense expenses in 2019 amid President Donald Trump's push to support military buildup, the question must be asked - why does the US military say one thing about an alleged threat from North Korea but then not take any remedial action? Missile defense systems that are supposed to counter the North Korean threat are continually delayed. Either the threat is overplayed for propaganda purposes, or there is a negligent, even intentional failure to prevent such an attack that would lead to an incredibly destructive military conflict. Using supplement narratives to propagandize submarine torpedo attacks is as old as modern warfare itself. The sinking of the RMS Lusitania, an act that was highly influential in convincing the US public to support entry into the war on the side of the British, was revealed to be based on disinformation when it emerged that divers exploring the site were warned in 1982 about the presence of munitions which would have made the ship a legitimate military target at the time it was sunk. These warnings were confirmed when divers discovered ammunition amid the ship's wreckage. Similar narratives which could have resulted in the outbreak of a war have been deployed against North Korea in the past. South Korean authorities claimed in 2010 that a North Korean torpedo had been responsible for sinking South Korean warship The Cheonan. But as Scientific American noted, there have been many who believe that these claims are false. The United Nations declined to blame North Korea when they delivered their findings after an investigation of the incident. On the same day of their report, scientists in Tokyo stated that the South Korean government might be fabricating the evidence they were putting forward linking remains of an alleged North Korean torpedo to the sinking. The Los Angeles Times noted that members of South Korea's military had lied about the reasons for their behavior during the incident and cited South Koreans who accused former President Lee Myung-bak of intentionally using the incident to stir up anti-North Korean sentiment. Almost a decade on, critics continue to state that they do not believe the impoverished and under-equipped North Korean military could have pulled off a perfectly executed attack against a superior military power, sneaking in and and out of the area without being detected. There were also absurd claims made by South Korean military intelligence that the Cheonan might have been sunk by "human torpedo" suicide submarines. Publications such as the Los Angeles Times and Wired threw cold water on this idea citing individuals like South Korean Defense Minister Kim Tae-young who said that such craft are incredibly slow and are not suited for attacks against modern warships. Nevertheless, online media such as Foxtrot Alpha has as recently as 2019 continued to claim the the North Koreans were developing this outdated and ineffective form of weaponry. Attacks on passenger planes have commonly been fingered as a potential spark that could ignite a major war. North Korea watchers have claimed that such an event could occur, citing the 1987 bombing of Korean Air Flight 858. There was also postulation about the possibility that a North Korean missile test could accidentally shoot down a commercial jet due to episodes where airlines such as South China Air and Cathay Pacific reported encounters with or sightings of ICBMs. Analysts say that the likelihood of a jet actually being hit by an ICBM is slim to none. The DPRK in the past has not done themselves any favors by making public announcements that they reserved the right to shoot down US military planes which entered their airspace. This kind of behavior causes them to play right into the hands of international media and groups who want a military solution to the Korean War instead of a peace accord. The media has been happy to indulge authors who draw up elaborate war game scenarios that provide potential playbooks for how a conflict could break out with North Korea. In December 2017, the Washington Post ran a fictional column written by Jeffrey Lewis, who teaches at the Middlebury Institute of International Studies at Monterey, mentioning the accidental downing of a commercial airliner by the DPRK as a potential cause for a nuclear war. The article also repeated the now increasingly discredited contention that North Korea was likely not involved with the sinking of the Cheonan. Such writing might seem like a harmless work of fiction, but the lurid detail evokes memories of the game plan drawn up by the Project for the New American Century prior to 9/11 which was used as a blueprint for the invasion of Iraq. mmission that North Korea could use their satellites to launch an EMP attack. Newsmax was repeating these claims as recently as March 2019. The EMP Commission, whose membership includes Northrop Grumman consultants and the Vice Chairman of the Atlantic Council of the US, clearly has not looked into the actual capabilities of North Korean satellites. North Korea's has only achieved two successful satellite launches, one of which is contested. The first, Kwangmyŏngsŏng-1, was launched in 1998 and appeared to be very similar to primitive US satellites launched in the 1960's. The United States said that the third stage of the rocket did not successfully reach orbit. 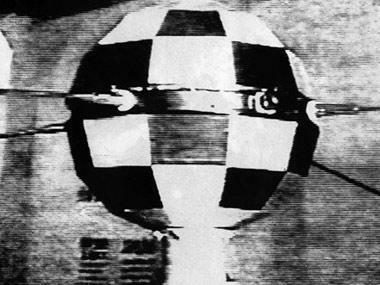 The second, a Kwangmyŏngsŏng 3 variant, appeared to successfully achieve polar orbit. 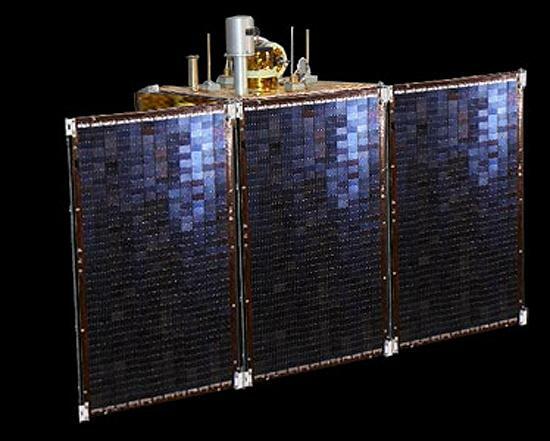 But the satellite appeared to be dead after observers noted that it was not putting out any kind of signal which could be detected and tumbled irregularly while in orbit. Even if either of the satellites had been fully functioning, neither would be large enough to carry a nuclear payload that would be required for a satellite-launched EMP attack. North Korea only miniaturized nuclear warheads in 2017 according to various reports, well after their last satellite launch. Stratfor and others have noted that if North Korea were to engage in an EMP attack on the United States using a more feasible method such as an ICBM launch, they would not do so because of the large margin for error and the guaranteed result that the DPRK would be totally destroyed even after a successful attack. Accusations of North Korean participation in cyber attacks have existed for many years. Because the North Korean public does not have access to uncensored internet, most attributions assume government intent. Not all attacks attributed to North Korea actually come from within the DPRK itself, however. Some, such as the 2014 Sony hack, were performed by individuals while they were in China. It's not clear whether false attribution has been considered in many of these cases either. Wikileaks' Vault 7 release showed just how easy it is for a hacker to mask their actions as the behavior of another party. On March 4, 2019, the New York Times claimed that North Korean hackers hit over 100 targets in the United States and "allied nations" while the Hanoi Summit was ongoing. Not only was the report illogical due to the fact that this behavior would have undermined a very high profile summit where denuclearization was being discussed, but it flies in the face of a subsequent report from CNN that Kim Jong Un had warned his generals not to engage in any unscheduled testing or other behavior that might provoke the United States ahead of the summit. It seems that accusations of hacking leveled against North Korea are in the same vein of "Russian hacking" claims that exploded in the aftermath of the 2016 Presidential election. With parties increasingly desperate to undermine the denuclearization negotiation process it is likely that more could be expected in the near future. Contentions that North Korea has been distributing nuclear materials have circulated for many years. In 2010, The Guardian stated that a leaked UN report said the DPRK was exporting nuclear material and missile technology to countries such as Syria, Iran and Burma. More recently in 2017, Vox noted that the CIA was claiming a cash-starved North Korea might sell their nuclear supplies to "the highest bidder," raising fears about proliferation to terror groups. Such speculation is in the same vein as as a 2017 article from the New York Times that a Ukrainian factory with "historical ties to Russia’s missile program" was helping facilitate black market purchases of rocket engines. The fact that Ukraine has been under an anti-Russian government that has very close ties to the United States and NATO since 2014 was apparently not reflected the uneducated scoop. These kinds of fears are unfounded, albeit understandable. As The National Interest has outlined, proliferation of dangerous nuclear materials would necessitate a strong response not just from the United States, but also China and the international community. The damage this would do to the levels of control that Kim Jong Un's government currently enjoys in the DPRK would make such behavior unattractive. Additionally, radiation sensors and intelligence agencies would no doubt pick up the transfer of any nuclear materials. Contrary to popular depictions, Kim Jong Un is not a madman but a calculating rational actor interested in the preservation of himself and the nation he rules.